Click the tab headings below for more Gila Trout Recovery and Angling information and regulations. Also, check out the Spring 2017 edition of New Mexico Wildlife magazine’s article Restoration of Gila trout opens door for anglers. Gila trout have been described as “taking their colors from the New Mexican sunset”, an apt description. Their iridescent gold sides blend to a darker shade of copper on the gill covers. Small, profuse spots cover the upper half of the body and a faint, salmon-pink band is present on adults, particularly during spawning season. A yellow cutthroat mark is present on most larger fish and parr marks are commonly found on adults. 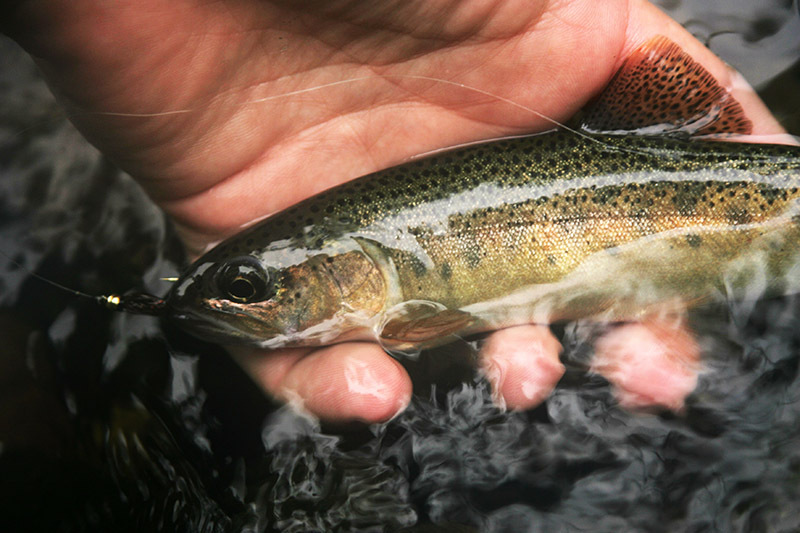 Because Gila trout are often found in small streams, they rarely grow larger than 12 inches. Gila trout typically spawn in early spring, when water temperatures are rising. They sexually mature by age 3 and live between 4 and 6 years. Gila trout are capable of hybridizing with rainbow trout which has greatly reduced the range of pure Gila trout. In New Mexico, the heart of Gila trout habitat is the Gila and Aldo Leopold Wilderness Areas. These areas of the Gila National Forest contain nearly the entire currently occupied habitat of the Gila trout. The Gila is a vast area of perennial rivers, steep walled canyons, rolling grasslands, dry uplands of juniper and pinyon pine, forests of ponderosa pine, aspen groves, and high mountains of spruce and fir. Gila trout inhabit coldwater mountain streams, hunting insects and hiding in fallen branches and undercut banks; finding refuge in pools fed by groundwater seeps during droughts. The Gila Wilderness was created in June 1924 at the urging of the conservation pioneer Aldo Leopold and was the world’s first designated wilderness. As part of congressionally designated wilderness, there are no roads and the only travel permitted is by foot or horseback. Logging is not allowed nor any commercial use except livestock grazing. 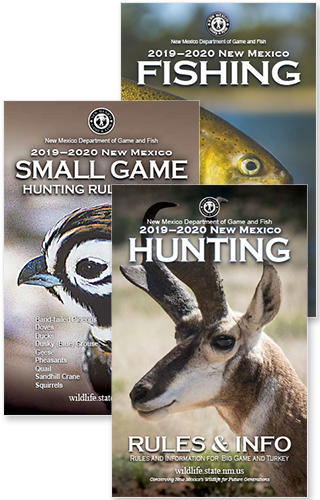 Hunting and fishing activities, however, are open to everyone under laws set by the New Mexico State Game Commission. Gila trout are relatives of the Pacific salmon, originally making their way up into the mountains of the Southwest by migrating from the Gulf of California. As the climate and landscape changed, they could no longer move between the mountains and the ocean. Their range was reduced to the mountain streams of the Gila, San Francisco, and Verde River Basins in New Mexico, where they evolved to survive harsh conditions. By the late 1800’s overfishing, land use practices that led to habitat deterioration and stocking of nonnative trout, which compete with, predate upon, and sometimes interbreed with Gila trout, began to take its toll on Gila trout. In the 1950’s, when Gila trout was officially described as a species, they remained in only five streams. Gila trout was the first western North American fish to be actively managed to conserve it. Conservation efforts began as early as the 1920s when the New Mexico Department of Game and Fish established the Jenks Cabin Hatchery in the heart of the Gila and began raising Gila trout. Around the same time, the agency established a policy of not stocking nonnative salmonids into streams known to support Gila trout. In the 1950s, the first Gila trout streams were closed to angling. Despite these efforts, Gila trout was listed as endangered under the Endangered Species Act of 1973 and the New Mexico Wildlife Conservation Act of 1974. Throughout the following decades, Gila trout were returned to a number of streams in New Mexico after nonnative trout had been removed. These efforts lead to their down-listing to threatened in 2006. 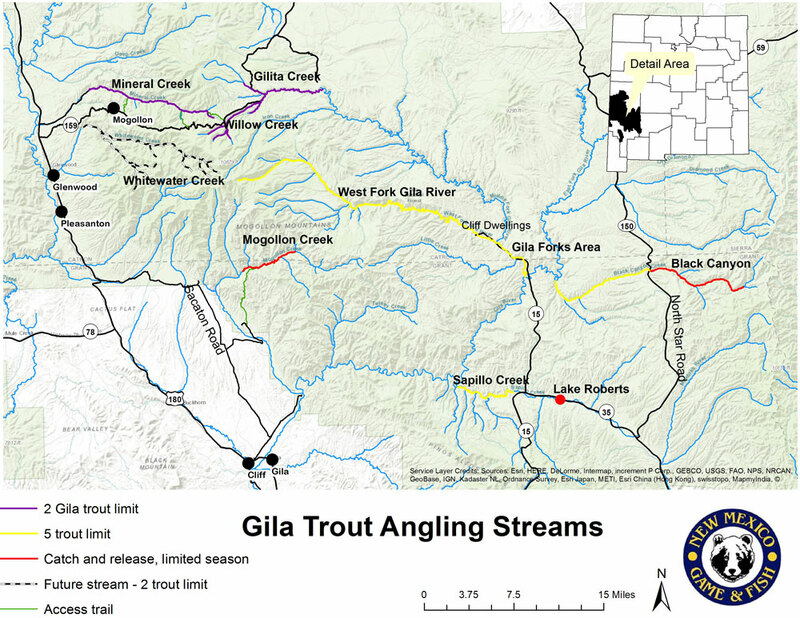 Today, Gila trout conservation is guided by the Gila Trout Recovery Plan (2003) and the Gila Trout Recovery Team, which is composed of professionals from NM Department of Game and Fish, US Forest Service, US Fish and Wildlife Service, the University of New Mexico, and the Arizona Game and Fish Department. The agencies continue a program of stream restoration – removing nonnative species, constructing barriers to prevent nonnatives from reinvading, and returning Gila trout – and pure Gila trout currently inhabit eleven streams in New Mexico. In addition to competition and hybridization with nonnative trout, wildfire is a major threat to the survival of Gila trout. Toxic ash flows following high-intensity wildfires often result in fish kills. 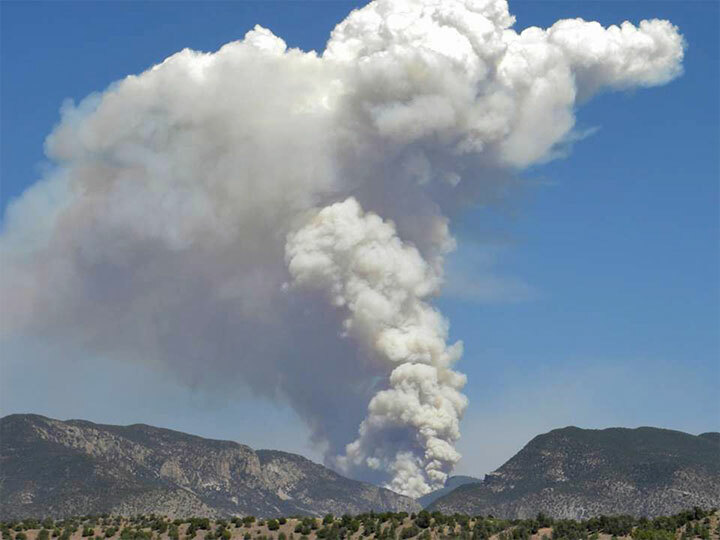 Multiple wildfires have had the direct and immediate effect of eliminating fish from a stream and because of this, Gila trout are often evacuated from streams that are threatened by wildfires. 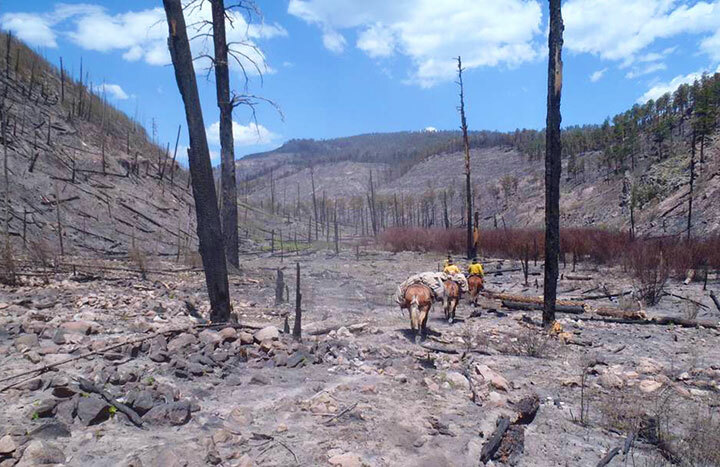 The largest fire in New Mexico history, the nearly 300,000 acre Whitewater Baldy Fire, burned through nearly half of the existing Gila trout streams in 2012 and fish were eliminated from six of the eight streams that were within the burned area. Gila trout were evacuated from three streams following the fire. Current conservation efforts (see Current Projects tab on this page) consist of returning Gila trout to the streams affected by the wildfire, continuing to establish them in new streams, and developing opportunities to fish for this rare trout (see Where to Fish tab on this page). Click image above to enlarge map. A free Gila Trout angling permit is required for all Gila trout waters listed below except Lake Roberts and Gwynn Tank. The permit can be acquired online by clicking “free permits” after you purchase your fishing license. 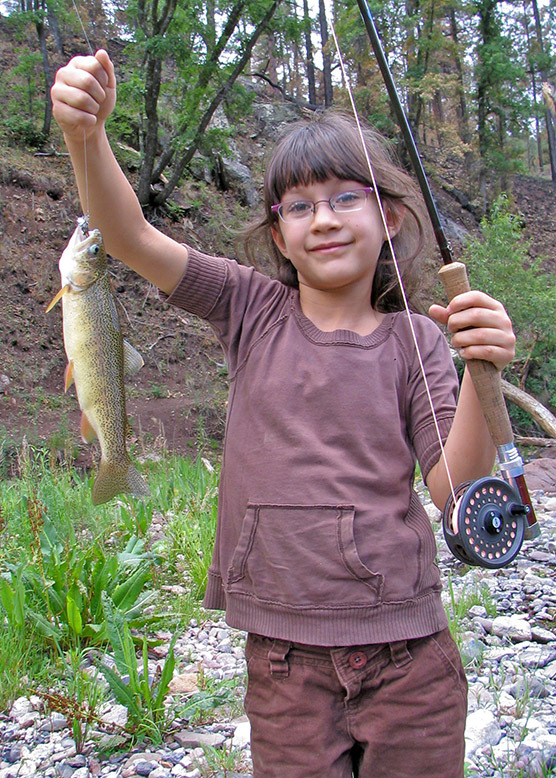 Check the NM Fishing Rules and Info Booklet for current regulations. Mogollon Creek from waterfall to Trail Canyon: Open July 1 – October 31, catch and release, single hook/artificial lure. Surveys conducted upstream of the area open to fishing in spring 2013 indicate a good wild Gila trout population remains in Mogollon Creek. Willow Creek: 2 Gila trout limit, unlimited brown trout. Most recently, 3,100 (4.5”) Gila trout were stocked in November 2018. There is a naturally reproducing population of Gila trout in Willow Creek and the best fishing can be found in the headwaters area upstream of the private property. Gilita Creek: 2 Gila trout limit, unlimted brown trout. Most recently, 3,200 (5”) Gila trout were stocked in November 2017 and 1,900 (4”) in November 2018. Black Canyon above fish barrier: Open July 1 – October 31, catch and release, single hook/artificial lure. 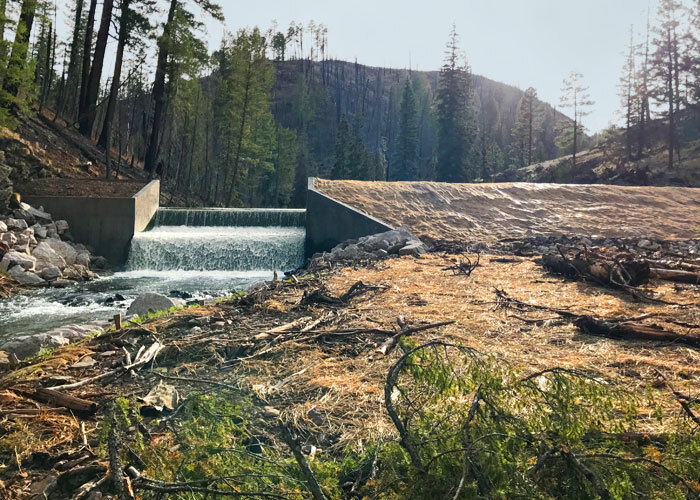 Trout populations were severely impacted by the 2013 Silver Fire and subsequent flooding, but habitat and the trout population is beginning to rebound. Recent surveys (summer 2018) show healthy and abundant populations of Gila trout with several large adults persisting despite the low water conditions in 2018. Over 5,000 Gila trout (5”) were stocked throughout Black Canyon in September 2017. Black Canyon below fish barrier: 5 trout limit. Recent surveys (summer 2018) indicate Gila trout are present in Black Canyon below the fish barrier. Stocked with 1,000 (4.5”) Gila trout in November 2018. West Fork Gila River from headwaters to Ring Canyon: 5 trout limit. 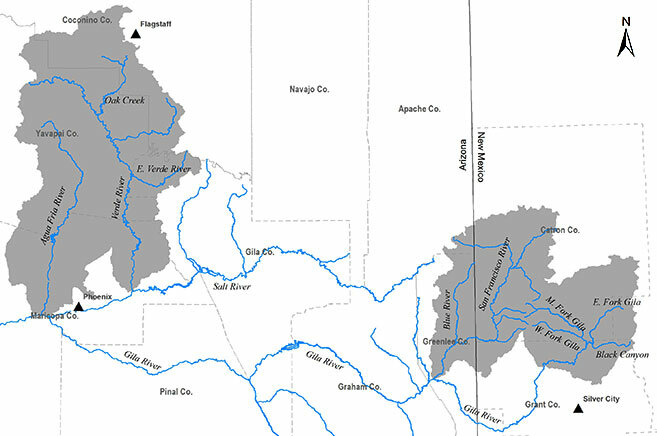 Surveys indicate a healthy population of wild Gila, rainbow, and brown trout are found in this section of the West Fork Gila River. Gila River Forks Area: 5 trout limit. 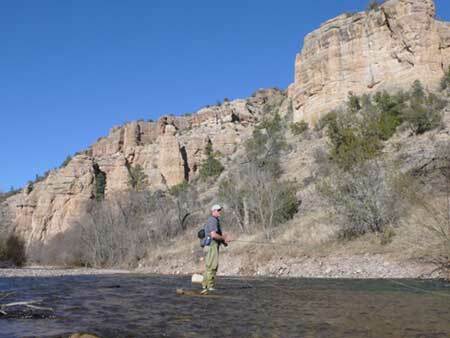 The Gila River Forks Area is stocked annually with Gila trout from November through April. 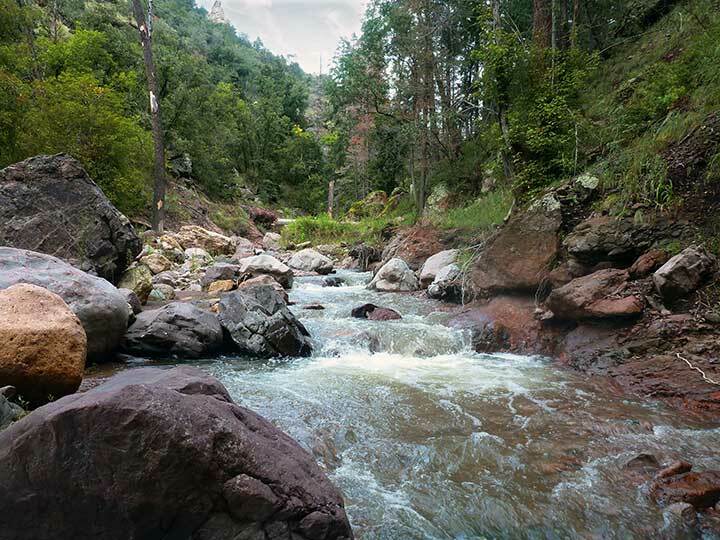 Most recently it was stocked with 1,800 (6”) Gila trout in December 2017, 34 (12”) and 266 (7”) Gila trout in January 2018, 900 (7”) Gila trout in February 2018, 200 (10”) Gila trout in October 2018, and 600 (8”) Gila Trout in December 2018. Sapillo Creek: 5 trout limit. 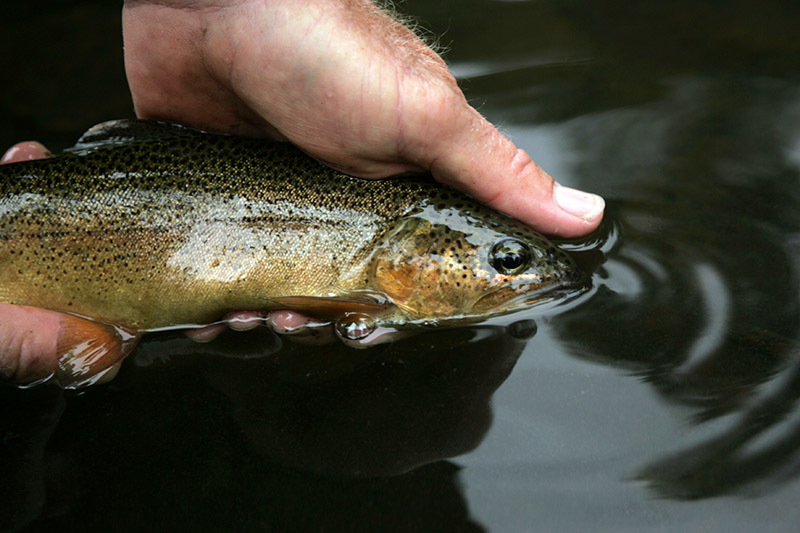 Sapillo Creek is stocked with Gila trout from November through April. Stocked with 1,400 Gila trout (6”) in December 2017, 900 (7”) Gila trout in February 2018 and 400 (8”) Gila trout in Nov.2018. Mineral Creek: 2 trout limit. Mineral Creek is a newer Gila trout stream and has been stocked for the last 3 years. Most recently it was stocked with 2,000 (5”) in October of 2018 Gila trout. Lake Roberts: 5 trout limit. Stocked with 420 (19”) and 200 (12”) Gila trout in May 2018 and 3,000 (4”) trout in November 2018. Gwynn Tank: 5 trout limit. Stocked with Gila trout for the first time in over 70 years! It was stocked with 200 10” Gila trout in September 2018 and 200 (8”) Gila trout in December 2018. 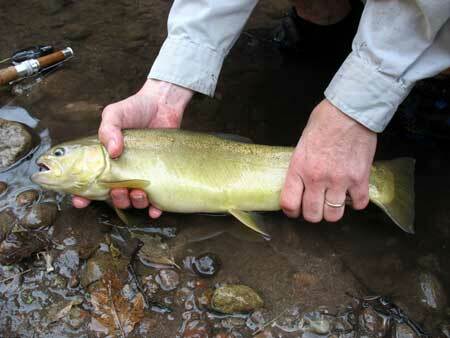 Whitewater Creek (Catwalk section): 2 trout limit.The newest Gila trout steam open to fishing. This stream is expected to become one of the best Gila trout fisheries in the state and provides easy access to Gila trout angling. Recently stocked with 800 (14”) and 1,000 (4.5”) Gila trout in December 2018 for the first time. beginning to grow out Gila trout at the Glenwood State Fish Hatchery.